ANNA☆S release a promotional video for the coupling track to this summer’s “Summer Lover♡TIME“. The girls have a definite slumber party theme here with “Jibun wo sukide i rareru you ni…” with their pajama chair shots barefooted dance shots. In fact, the promotional video feels a bit hurried with styling and film technique kept at a minimum. The PV is at its best when the three girls start to whack each other with pillows; these scenes feel unrehearsed and off-the-cuff. In other news, “Jibun wo sukide i rareru you ni…” is definitely filmed in belly-button city, and you’ll see what I mean soon enough. ANNA☆S “Summer Lover♡TIME / Nakamaka? !” hit record stores on July 25, 2017. 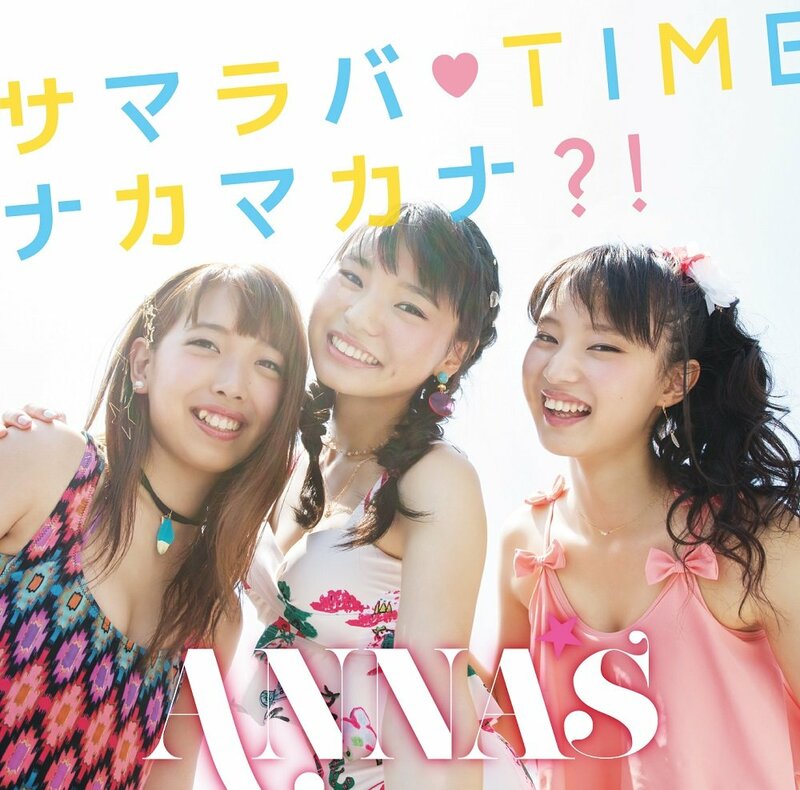 Buy ANNA☆S’s “Summer Lover♡TIME / Nakamakana?!”! New PV Alert: ANNA☆S – Nakamakana? !